Peel the pineapple and use only a half. Cut some slices and place on the plate. 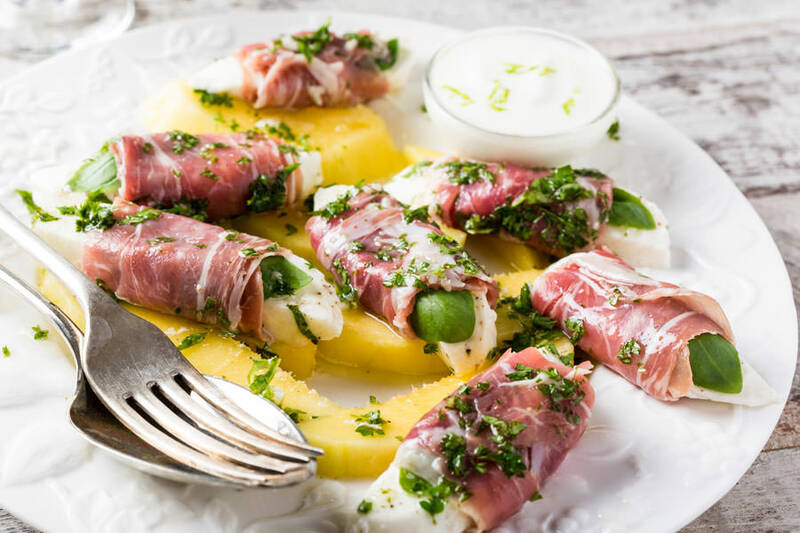 Cut the mozzarella cheese into small pieces and roll it with Prosciutto di San Daniele PDO and basil. Season with EVO oil, pepper, and parsley. Garnish with tzatziki sauce if desired.